There are rumors from China that a smartphone with dual boot capability is in the works. The supposed device is said to be a product from manufacturer, Wei Yan. 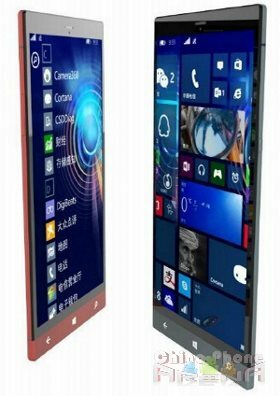 Reports originated from Weibo, which included leaked images of the phone seen below. Wei Yan plans on installing both Windows 10 and Android 5.0 on the device, which will give users the option to boot in either one. Additionally, the phone is said to be equipped with Intel’s entry level processor, the SoFIA (Smart or Featurephone with Intel Architecture), which is likely the basis of the phone model’s nomenclature, Wei Yan Sofia. The Sofia phone will be packing 2 GB of RAM storage and 32GB of internal storage. The phone will feature a 5.0 inch screen with an FHD display. Its rear camera will be sporting a 13MP sensor while the front-facing shooter will have a 5MP one. The phone is also expected to be LTE capable. No doubt, this is an interesting phone, but will users be inspired to purchase such a phone, or would they prefer one with a dedicated OS? Let us know your thoughts on dual-boot phones. Would you find one helpful?